Watch a great video about yesterday's amphibious operation-training of separate assault battalion "Somalia"
A separate assault battalion "Somalia", which has proved its combat capability during ground operations against the troops of the fascist junta, has shown itself as a decent squad for amphibious assault. 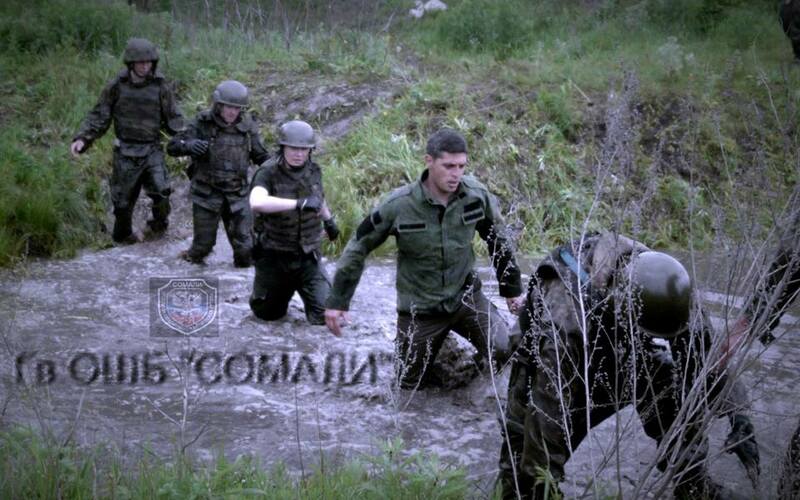 Battalion "Somalia" under the leadership of Lieutenant Colonel Mikhail Tolstykh (Givi) brilliant carried out amphibious operation-training on the landing on the shore, creating a bridgehead and hold it. Givi tells the reporters of News Front channel about the beaching operation, saying it was a great success, as the troops acted in coordination and grasped the task. The glorious commander said his men were ready to land in all kinds of locations, even in Mariupol or elsewhere, where the need arises. They exercise regularly and are always on the alert. PATRIARCH KIRILL OF MOSCOW TURNS 70!